Lake County has hundreds of miles of gorgeous country roads to explore by bike, and continues to expand the network of bike lanes on city, county, and state roads. Every year in October, the Rotary Club of Lakeport hosts the annual Konocti Challenge, which draws hundreds of riders from all over the state. There are four routes to choose from, ranging from 20 to 100 mile loops, all including extensive SAG support, an end-of-ride BBQ on the lake shore, and entertaining rest stop antics by local non-profit organizations. 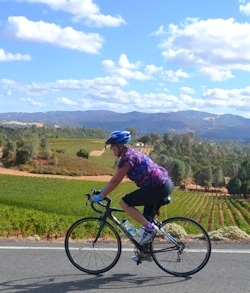 Participants can ride through vineyards and pear orchards, face a challenging 5,600 foot elevation climb, or have a relaxing family fun ride along the shores of Clear Lake. All proceeds benefit the local and international projects of the Rotary Club of Lakeport. Bike route maps are available below, and provide elevation profiles, route descriptions, and places of interest. Boggs Mountain Demonstration State Forest is a favorite among mountain bikers for its 23 miles of lush, forested single track multiuse flow trails, and several more miles of logging roads. Most of the trails and roads are moderately strenuous and not too technical, thereby offering varied terrain for a wide range of abilities and enjoyment for most recreational and younger riders. 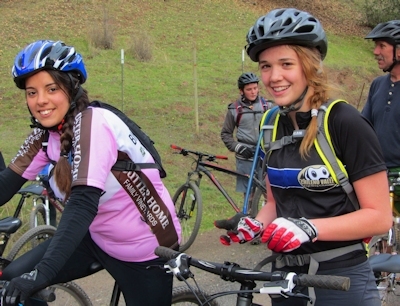 Boggs hosts the annual Bike Monkey Super 8, Hill Climb, Super D, and “Funduro” races, as well as the NorCal High School Cycling League race in the spring. Boggs also offers year-round camping for individuals and groups. 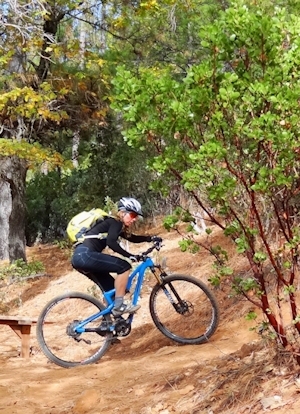 Highland Springs Recreation Area offers single track on open chaparral and oak woodlands as well as a lightly used dirt road (“toll road” leading to Mendocino County) with spectacular views of Mt Konocti from higher elevations. The Lake County Regional Bikeway Plan was prepared by the Lake County Area Planning Council (APC) through the transportation planning agency’s planning work program. The Regional Bikeway Plan is a capital improvement program of commuter bikeways and is intended to incorporate into one document, proposals for bikeway improvements for all jurisdictions. The Lake County Regional Bikeway Plan was adopted in August, 2011. In 2015, the Lake County APC will be updating the Bikeway Plan through a new Alternative Transportation Plan to ensure that future improvements and development of roads incorporate safe bikeway and pedestrian facilities. 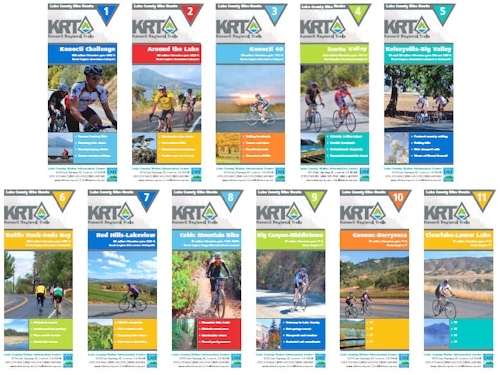 The following bike route maps are downloadable PDFs. These also provide points of interest for other recreation such as camping, fishing, hiking, horseback riding, and paddling.